The EUR/USD pair is by the far the most traded currency in the forex market with conservative estimates attributing it to more than a third of all forex market transactions. You too will possibly be interacting with this currency often, and it is therefore only natural that your search for the best forex broker that offers most competitive spreads for the Euro-Dollar currency pair. When checking the spreads here, you are looking at how low a broker can get and if they are fixed or floating spreads. Spreads in forex are equivalent to the fee a broker allows you to place a trade on their platform and is therefore at the discretion of the broker. Some charge as low as 0.0 pips for popular currency pairs but then charge a high commission on deposits and withdrawals. Others charge as high as 3.0+ pips but maintain relatively low or zero extra fees. We are nonetheless committed to helping you find the best broker with the lowest spreads for the EUR/USD trade. To this end, we have tried and tested different forex brokerage systems and have come up with a detailed list of 7 best forex brokers offering the lowest spreads for the popular EURUSD currency pair. Product is subject to fluctuations. An investment puts your capital at risk. 1. Pepperstone – Trade EUR/USD Spreads from 0 Pips! Pepperstone’s EUR/USD spreads range from 0.0 pips for the Active (High Volume) traders account and Razors account. Their standard account is however subjected to the low and variable institutional grade STP spreads ranging from 1.0 pip but is commission free. Apart from the low spreads we also liked their high leverage, up to 1:500, availed to the holders of their different forex trading accounts. When testing out the Pepperstone brokerage, we were particularly drawn in by their pricing model that contributes to the cost of trade. Here, the more you trade and the higher your transactional volumes, the lower the cost of trade. For instance, the broker offers Premium client service that allows high volume traders to call in or organize sit-down with one of their representatives and negotiate the spreads, fees, and commissions as well as leverage. The trader has also established a commendable repute in their first decade of operation. ❌Most of their industry research is borrowed from third parties and not analyzed internally. 2. 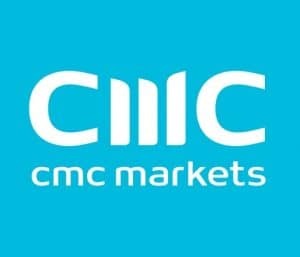 CMC Markets- Trade EUR/USD Spreads from 0.7 Pips! EUR/USD currency pair spreads start from 0.7 pips and average at 0.744 pips for the CMC markets standard account. The trading account users have further access to leveraged trades, up to x500 for Australian trades and x30 for UK traders. Here, we liked the forex broker’s commitment to simplifying the trading experience and limiting the number and complexity of their forex trading accounts. Far beyond the low spreads and commissions we also liked the level of emphasis that CMC Markets has put towards helping both their experienced and beginner account holders master the trade. They are always coming up with in-house developed market research reports and hosting live webinars where traders can interact with the team and other qualified traders. We also liked their technologically advanced and user-friendly trading platforms. These platforms are also packed with several tools and support features aimed at easing how both beginner and experienced traders interact with them. Plus, like most other brokers, CMC offers rebates to its high volume traders for transactions above £1 million. 3. IG Group- Trade EUR/USD Spreads from 0.6 Pips! IG’s spreads for the popular Euro-Dollar currency pair starts from 0.6 pips but the broker’s historical trade performance shows that it averages at 0.7 pips. The fact that the broker is publicly traded and operated in the UK implies that it is under the FCA regulations that have capped leverage for major forex currency trading pairs at 1:30. But we still felt the urge to include it here due to the solid reputation it has built in the money markets for the past four decades. The low spreads are further complemented by an even lower cost of trading as IG doesn’t add further raw interbank spreads. Rather, the broker just charges a small commission in all the trades executed on their platform. The rate for the commissions shrinks in relation to the volume of trade witnessed by an account. We notice that clients who maintain their account deposits above £1,000 have a chance to negotiate all aspects of the cost of their trades, from leverage to raw spreads and commissions. 4. XM Global- Trade EUR/USD Spreads from 0.6 Pips! XM Global has an extensive range of forex trading accounts, all of which trade the major currency pairs. The spreads for the EUR/USD currency pair start from 0.6 pips when trading using the XM Ultra-low trading account. You will, however, need a minimum deposit of $50 when trading using the Micro account and $5 for the Standard trading accounts, both of which trade at a 1.0 pip. Traders here don’t have to worry about the cost of trade as the three accounts are commission free. 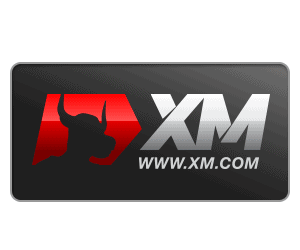 We consider XM Global limited, which features both XM UK and XM Global, one of the most popular and reputable forex brokers available today; and for good reasons. Apart from the low spreads and nil commissions, XM lists highly among the list of brokers availing highest leverages to their traders, up to 1:888. 5. Nord FX- Trade EUR/USD Spreads from 0 Pips! Euro-Dollar currency pair spreads with Nord FX broker start from 0.0 pips when operating with their Zero Account. 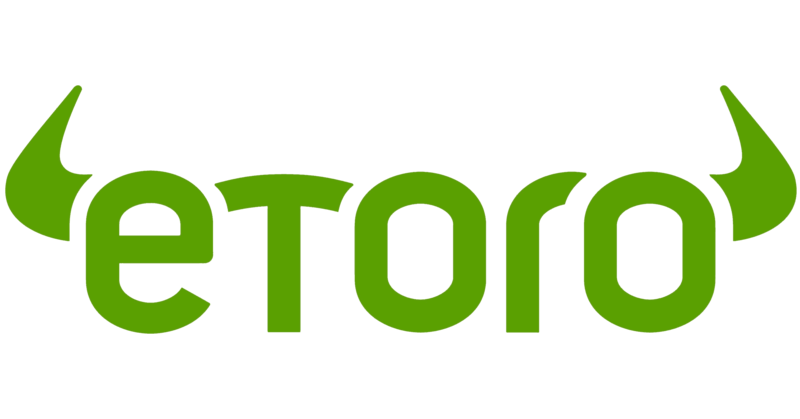 The only charge witnessed here is the 0.0035% commission charged on every trade successfully executed on the platform. The broker nonetheless also maintains the commission-free Pro and Fix trading accounts whose EUR/USD pair spreads are 0.9 pips and 2.0 pips with a minimum deposit of $250 and $10 respectively. We like the above average leverage that Nord FX advances its traders, balanced at 1:1000, regardless of their account type. More importantly, we were intrigued by the broker’s adoption of technology within its platforms as well as their wide array of analytical tools, news and research bases, auto-charting, and sentimental tools that they willingly share with their clients. Nord FX is also committed to helping forex trade beginners speed up the learning process by offering free training and forex education materials. 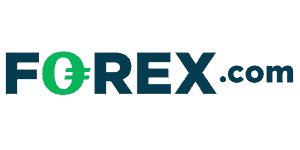 The broker also allows for the opening of a demo account, with the features of the real account safe for deposits and withdrawals, that gives both beginners and experienced traders a chance to perfect their trading strategy, mastering the impact of spreads and every other factor that affects the success of a given trade. 6. Forex.com- Trade EUR/USD Spreads from 1.2 Pips! You can trade the EURUSD currency pair with either the standard or commission trading accounts when dealing with Forex.com broker. The fees for the pair starts from 0.2% with a commission of $5 for every 100,000 traded while standard account spreads start at 1.2 pips with the broker’s historical data revealing an average 1.2 pips, with no commissions. In addition to their relatively low Euro Dollar spreads, Forex.com makes it to the list of the best forex brokers because of its impressive leverage of x400. We also like the fact that they maintained an untainted reputation of trust and transparency for the two decades that the broker has been actively involved in the money and stock markets. We were also drawn in by the broker’s investment in technology by way of availing their services over multiple platforms as well as a wide collection of technical analysis tools. The broker’s proprietary web trader is specially designed to cater for both the experienced and less experienced forex traders with its intuitive and user-friendly interface. 7. ThinkMarket- Trade EUR/USD Spreads from 0 Pips! Established in 2010, ThinkMarkets operates two forex trading accounts that one can use to trade the EUR/USD currency pair. The spreads for the currency pair with ThinkZero account start from 0.0 pips with an average o.1 pips while the spreads on standard account start from 0.4 pips but have an average of 1.2 pips. And while the standard is commission free, the ThinkZero account charges $3.5 for every 100,000 traded. In addition to the low spreads, ThinkMarkets is also quite unique as it allows traders to team up and open a joint account. More importantly, the broker is quite accommodative and allows for the creation of Sharia law compliant Islamic forex trading accounts. Plus, unlike most other brokers whose customer care desk is only available during trading days when markets are open, ThinkMarket’s customer support is available 24/6. Even with global regulations in place, certain aspects of forex trade like the spreads, commissions and fees settings are at the discretion of the broker. Brokers are therefore always competing with one another, each trying to upbeat competition with low spreads for such popular currency pairs as EUR/USD. Most recently, and in a bid to attract different types of traders, they started creating different types of trading accounts to cater for different classes of traders. The most common include the standard, the commission trading accounts and the VIP/ ECN trading accounts that target high-volume and institutional traders. These often get better deals for the EUR/USD and any other currency and even better commissions, different from 0.0 pips + commission plastered on various forex broker websites. Our commitment to helping ease your reach for the best forex broker in different niches saw us try and test traders in the market before coming up with this list of lowest Euro-Dollar spread providers. If you are looking to trade the most popular currency in the market today, take time to go through each of the services offered by these brokers and only settle with the one whose service offer matches your needs. What are spreads in the forex market?? Spreads refer to the difference between selling price by the market and buying price offered to you by the broker. If you are familiar with stock markets, it is similar to the difference in Ask and Bid prices. And it represents the profits a broker takes for facilitating the trade. What is the impact of spreads on a trade? In most cases, your preferred forex broker wants to benefit from every trade you make and will, therefore, inflate the market’s selling price of any given currency pair to cover for this. In effect, settling for a broker with high spreads means buying currency for amounts higher than its current market value. Why are the spreads for the same currency pair not similar for all brokers? Spreads, unlike leverages, aren’t regulated and the forex broker is at liberty to come up with their own spread figures. However, the cutthroat competition witnessed in the industry ensures that they all remain within reasonable levels. Slippage is the difference between the anticipated price of a currency pair and the price at which a trade is executed. It normally occurs during highly volatile markets where the currency prices change abruptly during the time between placing an order and your forex broker executing it. It may also occur in the case of a system delay with your broker. Can I trade EURUSD currency pair without a broker? Yes, if you had enough forex capital to register as an institutional investor, playing in the leagues of banks and brokers. To the rest of the global citizens, forex brokers act as the link between you and the actual forex market. Which is better between fixed and floating/variable spreads? There is no right or wrong answer to this as it requires a mathematical approach. Note that most fixed spreads are often accompanied by commissions. You, therefore, have to calculate how deep either the variable spread or fixed + commission eat into you possible margins. How much should invest in the EURUSD currency pair? The fact that the EUR/USD currency pair is the most traded implies that it is also the most volatile. Therefore, apart from only investing what you can afford to lose in the forex industry, it is equally important that you consider diversifying your FX investments and avoid staking your capital in a single pair. If possible, keep hedging against every Euro Dollar trade you enter this limits your risk exposure should it go south. 2.1 1. 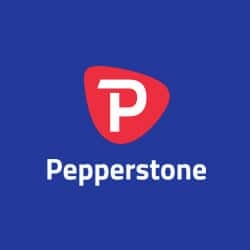 Pepperstone – Trade EUR/USD Spreads from 0 Pips! 2.2 2. CMC Markets- Trade EUR/USD Spreads from 0.7 Pips! 2.3 3. 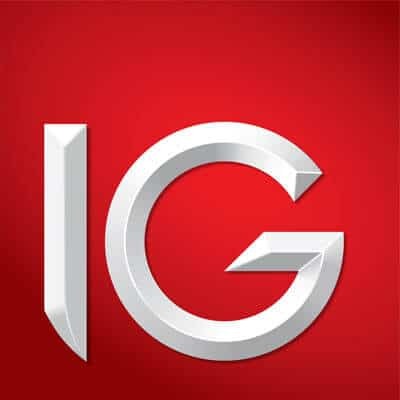 IG Group- Trade EUR/USD Spreads from 0.6 Pips! 2.4 4. XM Global- Trade EUR/USD Spreads from 0.6 Pips! 2.5 5. Nord FX- Trade EUR/USD Spreads from 0 Pips! 2.6 6. Forex.com- Trade EUR/USD Spreads from 1.2 Pips! 2.7 7. ThinkMarket- Trade EUR/USD Spreads from 0 Pips!